Experience an exceptional collection of four stone diamond rings suitable for any occasion including engagement. Crafted with scintillating white diamonds, each four stone ring benefits from a winning combination of beautifully cut diamonds, unique styling and a comfortable fit. Each ring arrives with a lifetime warranty for your total reassurance. Each 4 stone diamond ring arrives beautifully presented. Each design is crafted with incredible detail, using responsibly sourced, hand picked diamonds. Each stone is chosen for maximum sparkle and brilliance. 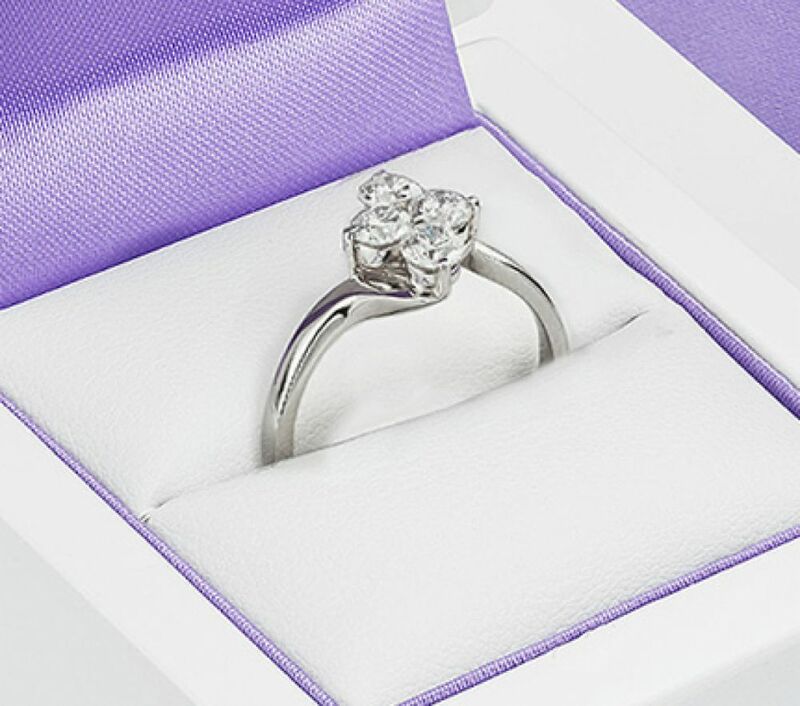 With an outstanding reputation for service and attention to detail, we create each 4 stone diamond ring over a 3-4 week duration, casting, preparing, mounting, hallmarking and setting your ring until the final commission is created. Each ring design is fully hallmarked and crafted in Britain, hallmarked in the UK before being delivered. We present each ring design in beautiful Serendipity packaging, delivered by fully insured courier to your door.